The existence of the Basano Vase is doubted. Its backstory is shrouded in myth and folklore, and its present location is unknown. The vase is said to have been made in a town just north of Napoli, Italy, sometime in the 15th century. Someone gave it to a bride the night before her wedding as a gift. However, the wedding never happened because the bride died overnight. The vase was given to a member of the bride’s family, who also died soon after receiving it. It was given to another family member, who suffered the same fate. It was at this point that the bride’s family deduced the vase was haunted. They buried it someplace, where it remained until it was unearthed in 1988. The vase contained a note warning of the mysterious and fatal consequences for anyone who came into its possession. 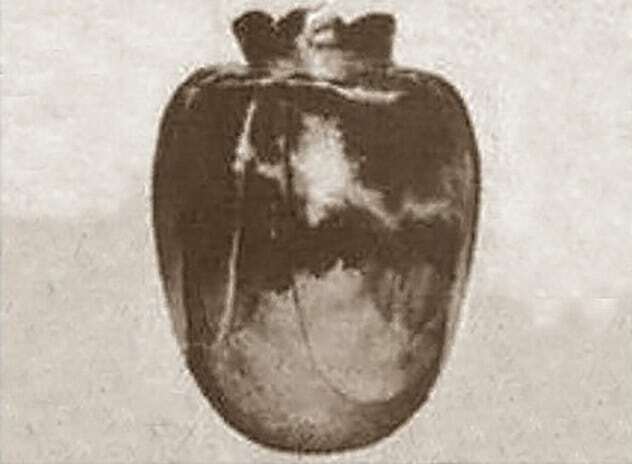 The man who found the vase ignored the warning and sold it to a pharmacist, who died three months later. The pharmacist’s family sold the vase to a doctor, who soon followed the pharmacist to the great beyond. It was later sold to two more owners, who also died. The family of the last victim wisely opted not to sell the vase and reportedly threw it out the window. A police officer found it and returned it, but they refused to collect it. No museum accepted the vase, either, and it is currently said to be buried in a secret location.